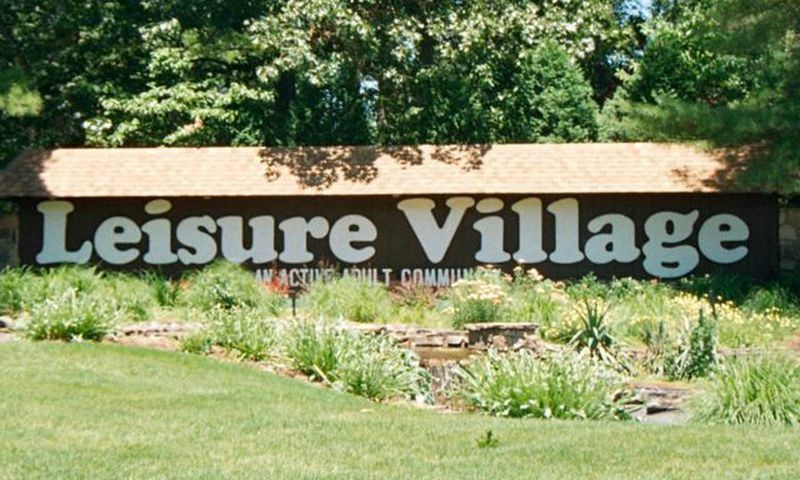 Leisure Village in Ridge, New York is situated on Long Island just minutes from Interstate 495. Boundless recreational opportunities, a close proximity to culture, and a pleasant climate have been drawing retirees to the region for years. At Leisure Village, a limitless array of lifestyle opportunities awaits. Leisure Village was started in the late 60s and encompasses 1,500 attached homes. Residents enjoy a low-maintenance lifestyle in a country club setting. This gated community features a clubhouse that offers many exciting clubs and activities. Leisure Village is the picture-perfect active adult community for today's homebuyers. At Leisure Village, residents have the ideal blend of a community that caters to both socially minded and physically active residents. The welcoming, 25,000 square-foot clubhouse is the centerpiece of activity within the community. Here, residents gather with new neighbors, mingle with old friends and work out in a fun and relaxing environment. The beautiful facility boasts a fitness room, hobby and game room, ceramics studio, woodworking shop, library and billiards. Outside, there is a sparkling outdoor pool that is perfect during the summer months. Residents can challenge friends and neighbors to a game on the tennis and shuffleboard courts. Golf enthusiasts appreciate the putting green where they can perfect their golf game. There is even a gazebo and walking and biking trails found throughout the community. Included in the monthly fee is the Leisure Village nine-hole golf course. This par-3 course is challenging yet accessible and boasts a beautiful landscape across 700 yards. Construction of Leisure Village began in 1969 and by 1986 the community was completed with 1,500 residences. These one-level attached homes typically have one to two bedrooms, one to two bathrooms, and some offer a garage. Homes within Leisure Village offer the ultimate in low-maintenance living. The reasonable monthly homeowners association fee covers exterior building maintenance, snow removal, trash removal and lawn maintenance. Life in Leisure Village is designed to help you enjoy new experiences while pursuing old hobbies. Dozens of clubs and interest groups include everything from cards and crafts to tennis and hiking. Popular activities include bingo, book club, bowling, golf, quilting, theater club and much more. With this welcoming atmosphere, you are sure to find other like-minded neighbors in Leisure Village who share your interests. Leisure Village is located in Ridge, New York. This ideal location on Long Island provides residents with an unparalleled quality of life in a city filled with culture. Nearby, homeowners can enjoy museums, shopping, dining, and popular attractions. Nature enthusiasts appreciate the many parks in the area such as Brookhaven State Park, Rocky Point State Pine Barrens Preserve, and Suffolk County Park. Residents also love the close proximity to several sandy beaches throughout the area. Leisure Village is a great active adult community that has a convenient location near world-class attractions. These one-level attached homes typically have one to two bedrooms and one to two bathrooms. Some homes have a garage while others offer street parking. Homes within Leisure Village offer the ultimate in low-maintenance living. The reasonable monthly homeowners association fee covers exterior building maintenance, snow removal, trash removal and lawn maintenance. Please Note: Not all floor plans are available at this time. Leisure Village is a good value in a good location. You get a lot for what you pay for. Yes it's older and not all that fancy but it's got everything I wanted, for a good price.